Deep cycle batteries are lead-acid batteries specifically designed to transmit constant and stable electric charge over much longer duration than normal automobile batteries. 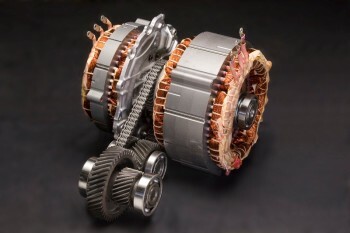 As opposed to automotive batteries, deep cycle batteries do not get drained out frequently requiring repeated recharging. These types of batteries are useful where a steady supply of power is required over a very long period without any major recharging in between. This is the reason why deep cycle batteries find extensive applications for storage of power in solar or wind energy systems and also for operating electric vehicles, such as golf carts or wheel chairs. On the other hand, automobile lead-acid batteries are designed to generate high-intensity, short duration spurt of electric power to start a car engine. The methods of power generation in deep cycle batteries as well as automobile batteries are, nevertheless, the same. An electric current is generated through a chemical reaction when lead plates are dipped in sulfuric acid. 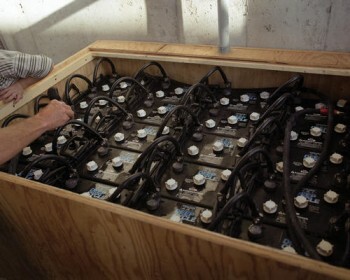 Just as deep cycle battery function differently as compared to the common automobile lead-acid or starter batteries and are also different both in design and construction; the methods of recharging them are also unique. In this type of charging, electric current is passed though the deep cycle battery set at the maximum voltage that it can receive. Though the voltage is not an essential criterion, it ranges normally from 10 to 18 volts. During this level of charging, when more electricity is passed to the battery at constant voltage, the electric current will be stepped down as the cells’ usual internal resistance increases. This higher resistance takes place usually as the level of charge builds up. In floating Charge, also called, ‘trickle’ charge, the deep cycle battery is charged even when the unit is almost fully charged. During this stage, the battery charger will decrease the voltage to a minimum, normally to 12 volts. This is meant to replenish the used up power in the battery. In contrast, in an automotive battery, it is enough if the battery is charged using only bulk charge method and therefore, for this type of battery, the battery chargers designed are suitable only for bulk charge method. In order to get the maximum benefit from a deep cycle battery in terms of durability and efficiency, it is essential to adopt all the three methods to charge the battery unit. If the battery is connected to a power system at home, the power supplied by the source, such as solar panel or wind turbine, will be routed through a power regulator that will ensure that the voltage and the electric current supplied to the storage bank is suitable for the level of charge already stored in the battery. The different levels of charging are vital as over-charging can result in the liquid in the battery getting evaporated and accumulation of excessive gas. On the other hand, an undercharge can result in collection of lead sulfide on the plates. Excessive battery charge as well as undercharge can damage the deep cycle battery. The storage cells of the battery are costly and therefore, it is necessary to follow proper method to charge a deep cycle battery to derive maximum benefits from the money spent on the purchase.